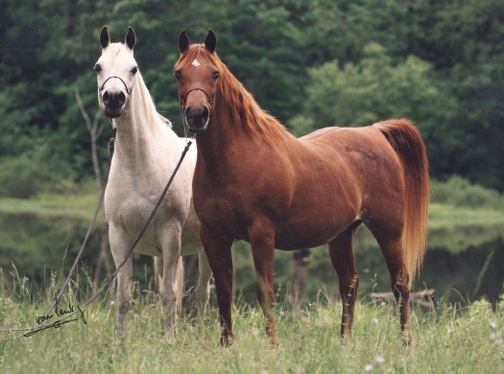 For many years, Chase Arabians has admired the horses of Ansata Arabian Stud, infusing these precious bloodlines into our program with a particular emphasis on concentrating the influence of the immortal *Ansata Ibn Halima. 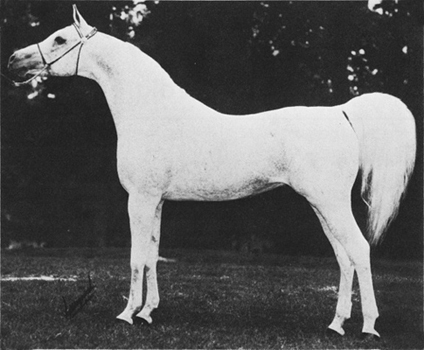 Noted for his compact structure, short triangular head, large dark eyes, overall balance, substance, gentility, and nobility, *Ansata Ibn Halima is a stallion whose influence is apparent in countless successful breeding farms, and whose blood is reflected in many of the world's most notable Arabian horses. He consistently provides a certain element often missing in some pedigrees - for horses that tend to be more linear in shape, he "adds the curves," smoothing out the corners, and imbuing overall harmony. He also contributes the rare and coveted traits of predictability and consistency. The desirable physical and kind character attributes associated with the blood of *Ansata Ibn Halima are prepotent breeding qualities that continually breed forward. His blood remains a treasured reservoir for the superior qualities desired in future generations. This prepotency often results in individuals who are instantly recognized as having "the Halima look". Because of our regard for this strong genetic influence, Chase Arabians is proud to incorporate his bloodlines within our breeding program. Ansata Samantha (right) with grand daughter Ansata Selket. In the formative years of breeding Straight Egyptian Arabians, Chase Arabians sought to purchase a filly out of one the most beautiful and famous *Ansata Ibn Halima daughters, Ansata Samantha. That mission was thwarted when we learned that we were in the company of many other breeders around the world who shared our desire. Obtaining a daughter of this celebrated mare was simply not possible. 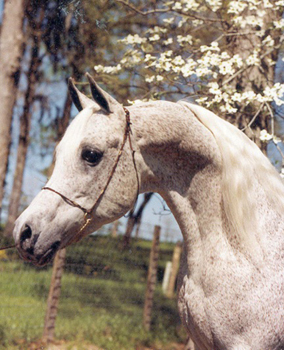 In 2004, after years of successfully crossing the Chase Arabian mares with Ansata stallions, a unique opportunity presented itself - a breeding project that would involve the treasured mare Ansata Samiha (Prince Fa Moniet x Ansata Samantha), perhaps the most beautiful of the Ansata Samantha daughters. At that moment an exciting partnership was formed with Don and Judith Forbis of Ansata Arabian Stud and produced the handsome stallion Ansata Marengo, by Ansata Hejazi, now owned by Omar Sakr of Egypt as well as two exceptionally promising young stallions, Ansata Sheikh Halim, by Ansata Hejazi, recently acquired by Bait Al Arab Kuwait State Stud and the ethereal Ansata Sinan Pasha, by Ansata Sinan. 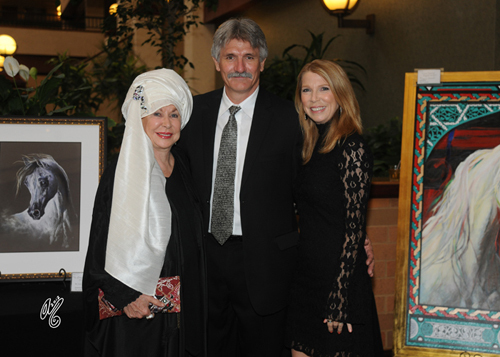 Please join us in our celebration of *Ansata Ibn Halima and the cherished bloodlines of Ansata Arabian Stud.